Classic chrome styling and functions as a weather block. 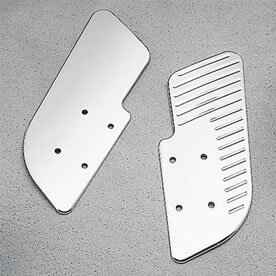 Attaches to the lower wind deflector mounting hardware which is sold separately. Sold in pairs. Size 12.5" x 5.5"